Apple today announced that Bertrand Serlet, senior vice president of Mac Software Engineering, will be departing the company in order to "focus less on products and more on science", although his specific destination remains unknown. Serlet joined Steve Jobs at NeXT in 1989, and transitioned to Apple in 1997 when NeXT was acquired and Jobs brought back to lead Apple. "I've worked with Steve for 22 years and have had an incredible time developing products at both NeXT and Apple, but at this point, I want to focus less on products and more on science," said Bertrand Serlet, Apple's senior vice president of Software Engineering. Serlet will be replaced by Craig Federighi, currently Apple's vice president of Mac Software Engineering and who has led Mac OS X engineering for the past two years. Federighi is another former NeXT and Apple employee who spent ten years at Ariba before returning to Apple in 2009. Serlet notes that the transition should be seamless given Federighi's role in leading the current Mac OS X team. "Craig has done a great job managing the Mac OS team for the past two years, Lion is a great release and the transition should be seamless." Serlet has occasionally appeared at Apple keynote and media events over the years to introduce Mac OS X-related features, and thus well known to longtime Apple followers. 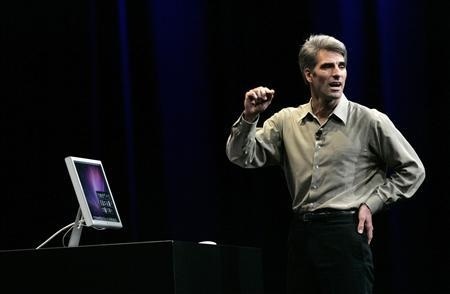 Federighi has made a couple of on-stage appearances since his return to Apple, demoing Mac OS X Snow Leopard at WWDC 2009 and showing off some of the features of Apple's forthcoming Mac OS X Lion at last October's "Back to the Mac" event. Dang, Federighi has large shoes to fill. His Lion demo was so-so. Serlet has been on the Mac OS X team since day one if I remember right, and has always seemed to understand where it needed to go next. I wonder if the departure has anything to do with Mac OS X transitioning away from a traditional desktop OS towards a more touch-centric, "no-fuss" one. Would be interested in Serlet's opinion on this. Now if this guy is not leaving to retire. Then RIP Apple. Seriously, if Apple thinks I want my computer to resemble an overgrown iPad then they can loose my money and I'll be buying an Alienware. Microsoft seem to be the only ones that still get computers? Apple has done brilliantly as well but I really do worry that they have an itch to dumb them down to ridiculous levels!! Then again...... perhaps the man is leaving because he just is not comfortable with the talk from other employee's about where they want to take Apple after Mr Jobs leaves which is no doubt going to be very soon. I have a feeling they want to go in an entirely new direction.. I KNEW something was going on with Apple with regards to Bertrand. All the amazing benefits both with speed, less HDD space usage on a clean install, OSX in general (Darwin) and even server or core shells we owe to Bertrand Serlet; not this dingle berry kiss-arse. I worry that OSX will go complete IOS with a larger screen & storage. 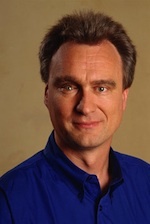 Bertrand Serlet ... you will be solely missed and I HOPE you still get to fiddle with Darwin in each open source iteration. He's exit on this article I vote as a NEGATIVE! To me Serlet has more knowledge than Craig. He actually includes information about under the hood stuff and the nice new UI features. Craig just says "beautiful" "very natural". I will remember Serlet as the father of Leopard -- Apple's best release IMO and Craig with Lion, a release that really has nothing that exiting.